With plenty of radio shows getting into the ‘Back To School’ spirit, Mix 102.3‘s Jodie and Soda weren’t about to miss the boat. 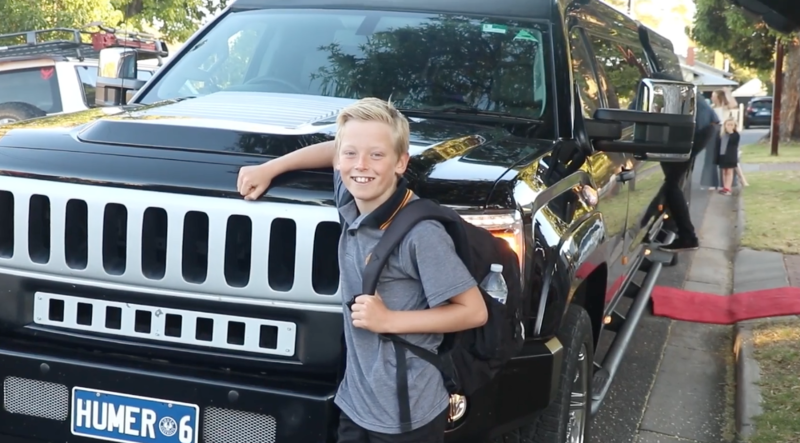 With help from their friends at Channel 7, they organised for 12-year-old Mackenzie to arrive at school in the Channel 7 Adelaide chopper, having been picked uo from his house in a massive 24-seat hummer. An active and sporty kid, Mackenzie plays cricket, AFL and Rugby and is a member of the Brighton Surf Lifesaving Club where he volunteers with the little nippers at the club to help them learn about the beach and surf safety. He arrived at Brighton Primary School with Soda, and they were given a Rockstar welcome, with his class also treated to breakfast, drinks and gifts. Mackenzie will never enjoy a normal car ride to school again after the 'Rockstar' treatment he got from Jodie and Soda on the first day back to school for 2019.Thanks to 7 News Adelaide Channel 7 Adelaide Hummer SA OTR and Brumby's for helping make Mackenzie's day unforgettable.